Designed by David Emery for convenience in field research, the Ecology Field Clipboard comes with everything your students will need to measure and record information outside the classroom. Especially helpful in creating topographical maps of observed areas, this versatile tool also features space for instruments to be safely velcroed to the board for easy transport. 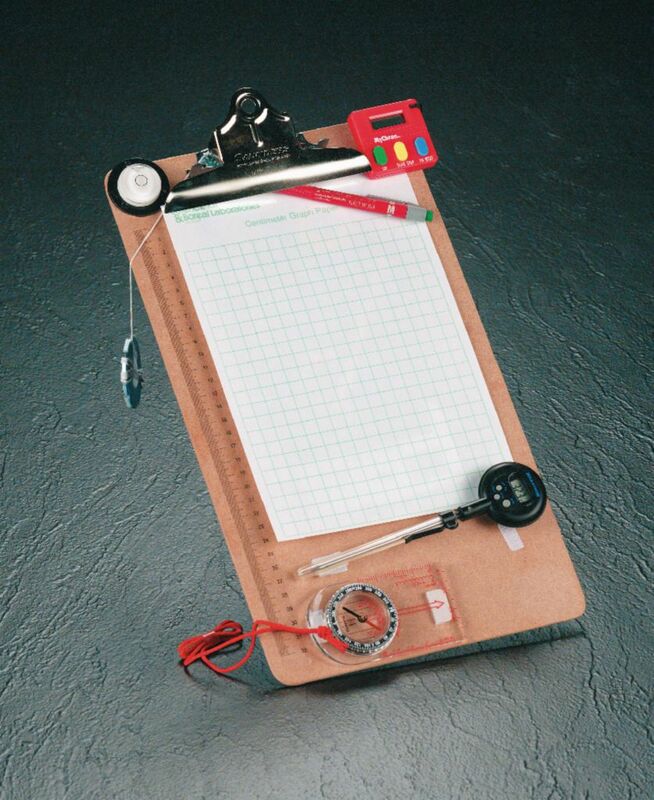 The Ecology Field Clipboard with Topo Map Guide includes a centimeter grid for mapping, centimeter ruler, stopwatch, thermometer, compass, level, teacher's guide and instructions. Grades 8–12.